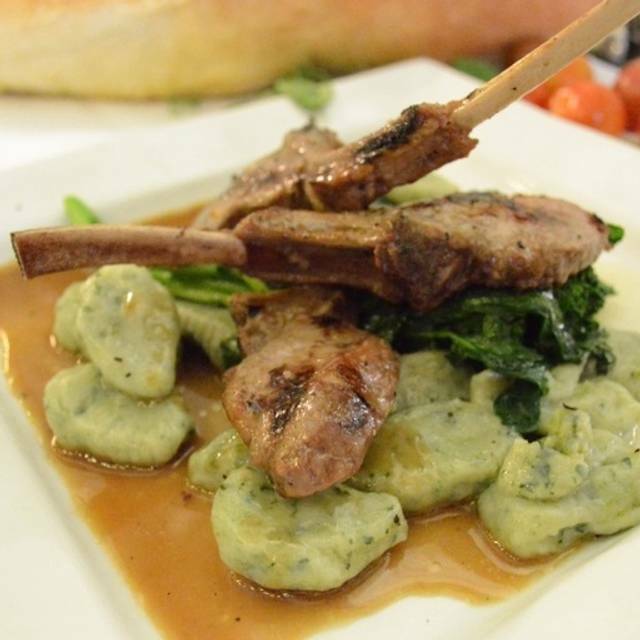 Caffino in Toronto offers an extravagant dining experience that reflects the pride that goes into each Italian dish that is prepared and served fresh for you to enjoy. 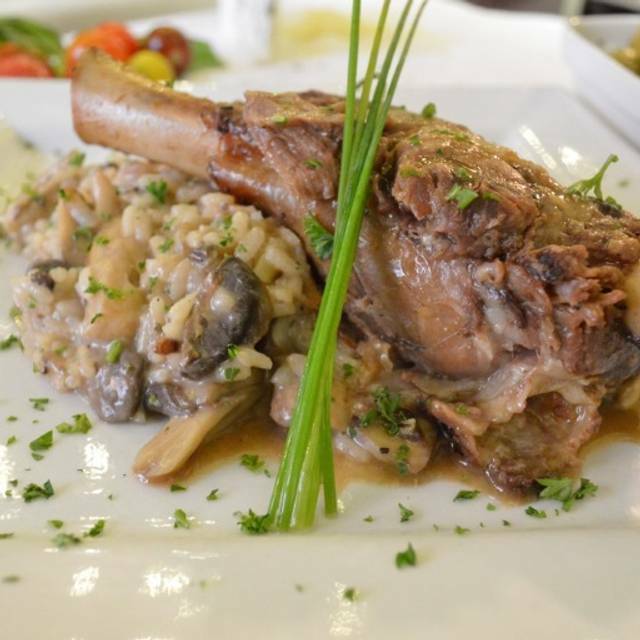 Many of the restaurant’s famous dishes include the finest of ingredients, including parmigiano, prosciutto, fettucine and risotto. 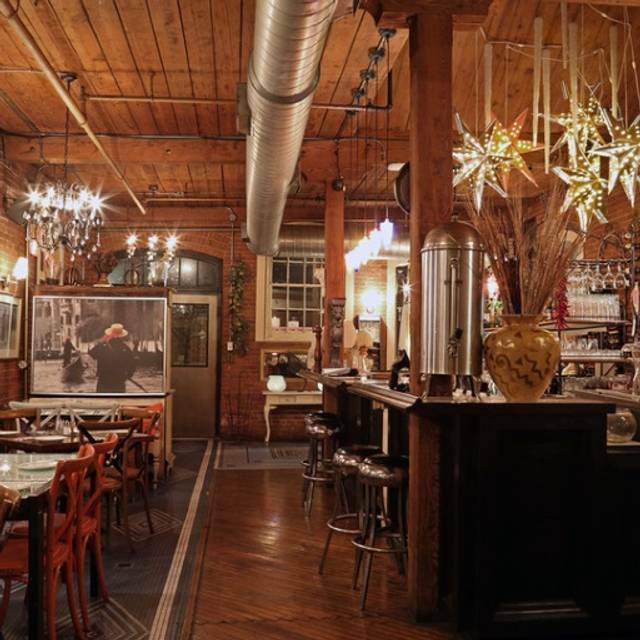 Caffino also has its own, famously known pasta CaFfinO. 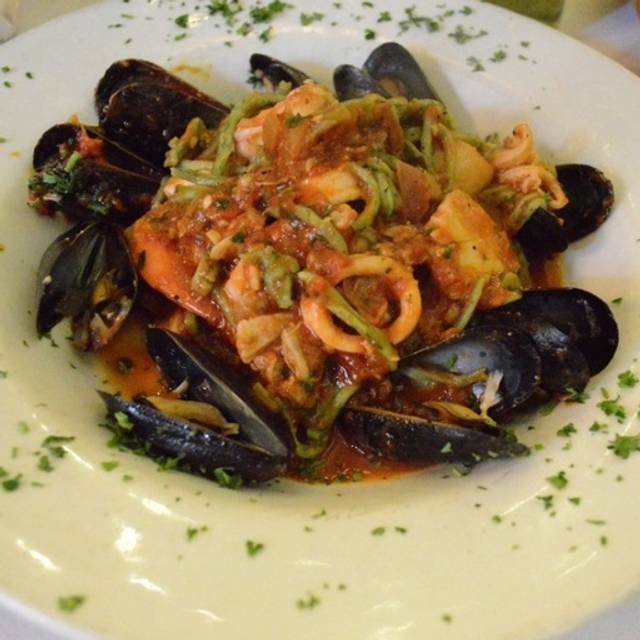 Savor the flavors of your dish and allow yourself to be transported to Italy with every bite. When dining at this restaurant, you are most likely going to want to try the pescatore, penne alla vodka, la salute or the CaFfino lamb burger. There are also plenty of pizza and pasta options available as well desserts. 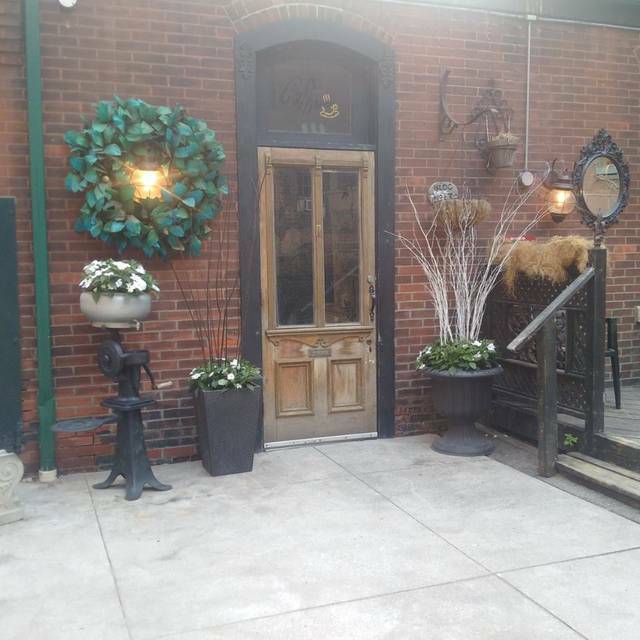 Caffino also offers catering services for special events and is known to host wedding receptions within its classy location. After living in Liberty Village for over 5 years I don’t know how I missed finding Caffino until now! Maybe because of the unobtrusive signage and the fact that it’s located through metal gates back from the road? A friend recommended it for our lunch date on Friday and it was amazing! I had the bacon and green peppercorn pasta and it was delicious! I was so impressed I went back for dinner the next day and it was just as good. We had the grilled calamari which was perfectly cooked and very flavourful. I then had a chicken pasta with sun-dried tomatoes, onions, spinach and white wine cream sauce and ate every bite! My dinner partner had the Arabiatta (it’s his favourite Italian dish) and said it was delicious and perfectly cooked...only comment was that it was a tiny bit too spicy even for an Arabiatta (I can vouch for that - I had a bite and love spicy food and it was definitely on the upper end of my threshold). We had the mini donuts and tiramisu for dessert which were both fantastic. The service was also excellent - our waiter was very attentive and the food came out pretty quickly despite it being a busy Saturday night. We will definitely be back. It’s average food with above average prices. Beautiful room. Italian servers. Good ambience. But the more is nothing special about the food. It might be authentic but that’s all. Desserts very good though. Terrific lunch well prepared. Pasta cooked a little softer than some restaurants; just the way my friend's Mom cooked pasta so he was very happy. I had the delicious Trio with potato and leek soup sprinkled with asiago cheese, a fresh tasting green salad with the right amount of dressing and the Dino Martino sandwich with the steak cooked medium as asked for. First time visiting was a very pleasant experience. Food was great and the ambiance really nice. The food never disappoints......service is friendly, accurate and timely. Delicious food. Well prepared. We shared the grilled calamari which can easily become tough and rubbery but our order was perfectly prepared. The pickerel dinner was delicious and again the fish was cooked just right. My wife raved about the seafood risotto. Everything about our experience at Caffino was incredible. We shared a Caesar salad, the beef carpaccio, and the La Romana Gnocchi. My husband then had the Tonno al la Griglia & I had a Dijon crusted Halibut special. Everything was absolutely delicious, homemade with great care & came in a very timely fashion. The gentleman working worked so well as a team to check in on us the perfect amount, and the ambiance and energy was second to none. I've been saying for 3 days that it was one of my best restaurant experiences I've ever had. Highly recommend! Great experience. Very intimate and hidden. Food tasted great and the place had an amazing ambiance. I took out a star from food and overall experience because my friend’s pasta portion was too small. The plate it was in was deceiving. It was big but the recessed part was so small. Mine was a decent portion, though. Later found out after leaving that she was barely filled with her food. Always our favourite spot! Loved the complimentary bubbly, nice touch! Our server was amazing and the food was great too. The restaurant was lovely and the food was good but it was absolutely freezing inside because it was a cold day. Loved it. Can't wait to go again! We celebrated a special birthday and they (our waiter especially) attended to every detail making the evening a wonderful experience. The food is always good. However, this time the service was disappointing. We were a company group and ordered a bottle of wine. The server did not ask for refills at any point. One guest asked for condiments but it arrived at the end of the meal. I'm hoping that the server was having a bad day, because everyone loved the food but the service could be improved. Went on Friday night with some friends. Even though they had a group booked, they were segregated well and no impact on others who were dining. Great atmosphere, food was simple but well prepared. Place is a little hard to find but that adds to the charm. Deserts were outstanding as was the cappuccino. Will definitely repeat. I would go again but it is far from where we live. Food was delicious at a great price! Service was great. What a fantastic gem in the city that's tucked away in the corner. Service was excellent! Food was excellent! We had mushroom truffle soup, pizza, gnocchi with lamb, risotto and carrot cake! Every meal was cooked to perfection. Can't wait to go back for the next celebration. my friend and I had a fantastic lunch. Delicious food and excellent service; your staff really go above and beyond. We had an amazing experience. 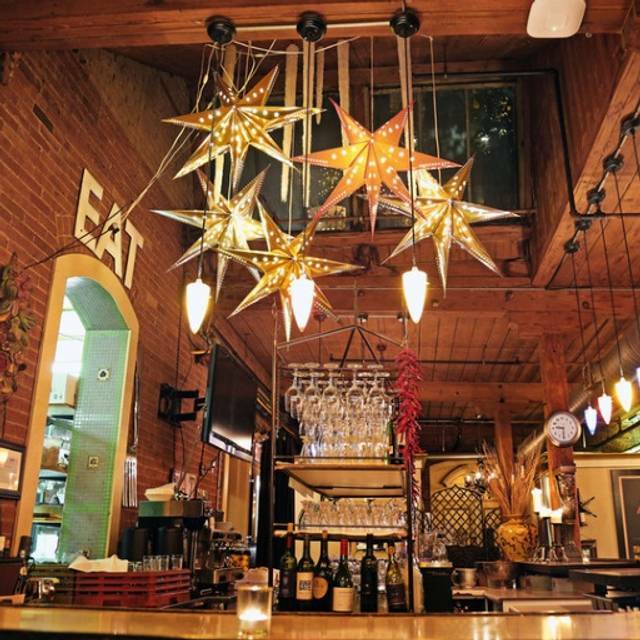 Caffino is upscale without being pretentious. It's a rare find. I love the food here, it never disappoints. Depending on your server (my favourite is an older gentleman), the service can be truly acceptable. I was very pleased during our last visit and commented to my friend that it's hard to find such good service in the city these days. Great food and service is really what makes a restaurant. A unique location, decor and ambiance throw it over the top. We had a great time and thoroughly enjoyed the food. I had a bad experience because they have us sitting at a small table by the corner right next to the kitchen. And we were not allowed to switch tables..
Had a great night with friends who had never been there before. They loved it. The place is quaint. Very cute. The only thing was that there were fruit flies all over the place! And it’s the middle of winter!! It’s ok Kay. Not to fancy and the food is mediocre. First time dining here. Excellent setting, service was top notch (Vince) and the food was wonderful (just like home). Had a nice reasonably priced bottle of wine and they proved us with complimentary dessert and espresso. Will be back as we truly enjoyed the experience. Thanks! I hosted a birthday dinner. Incredible food, fabulous service - highly recommended ! Food was amazing, service was good and I felt it was good value. Amazing Italian restaurant. A bit off the beaten track but the menu is terrific and everything we had was wonderful. We always enjoy our meals at this Italian restaurant, where you can actually have a conversation and hear yourself think. The food offer is rather traditional but well done. The deserts are a highlight. This was our second time at Caffino. The food was delicious, but our server was definitely lacking in charm. He started to clear the table before we were finished, and only became friendly when he overheard my husband say that perhaps we shouldn't tip him. Disappointing experience in that regard. It was my wife’s birthday and we had dinner and drinks with a few friends there. The pasta was ok but pizzas were great. The ambiance was cool. Overall we recommend it. Lovely spot! Food was very good. We felt rushed- waiter pacing to collect bill. Not a great place if you want to linger over a cup of tea. My wife and I went here for a nice dinner prior to attending an evening event. The food was excellent and the service was top notch, what you would expect from a quality restaurant in this price bracket. We will be back again. 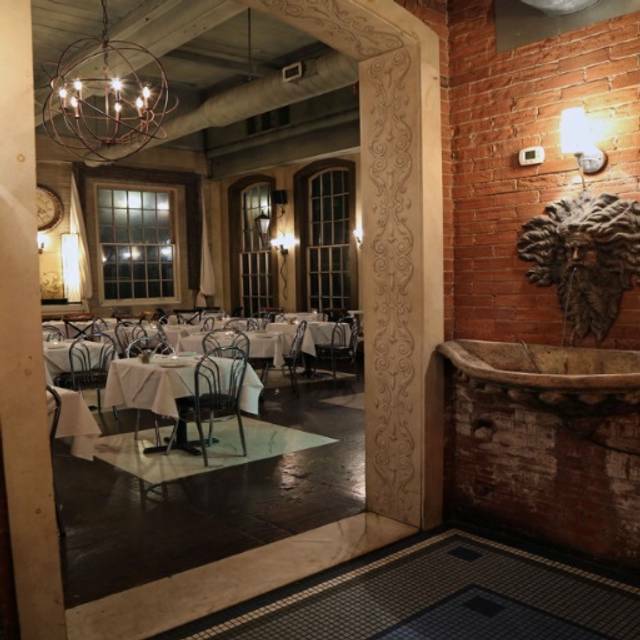 Beautiful restaurant in a romantic setting tucked in secret ally way in a historic building. Such a real find a neighbourhood gem. Authentic homemade pasta and pizza, delicious drinks. Good for lunch or dinner. Price also reasonable. Will be back. Very nice gem in the neighborhood tucked into an unassuming little spot. Had the veal - veey tasty and a good size portion. Reasonable prices. Bit loud due to a large party that was present but not much to do about that. I'll be back. 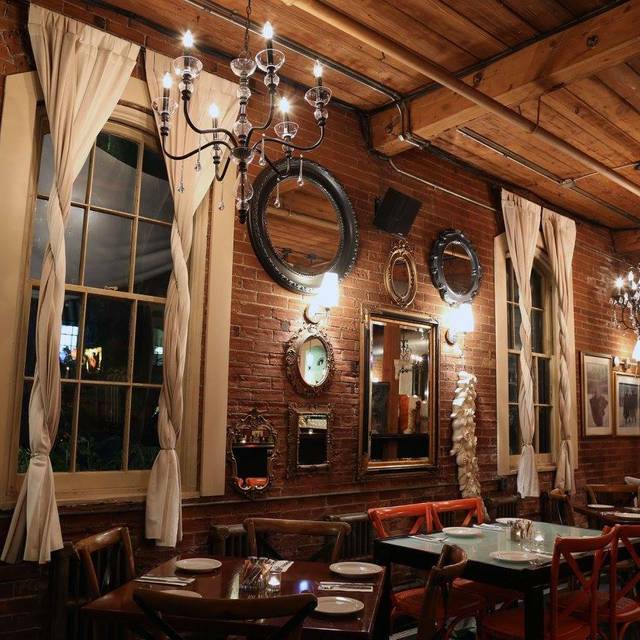 What a surprising gem of a restaurant tucked away off King street in an old warehouse setting with simple but inviting decor. I was there for the first time with my daughter and her friend and it was a delight to be able to have a conversation without having to raise our voices to be heard. 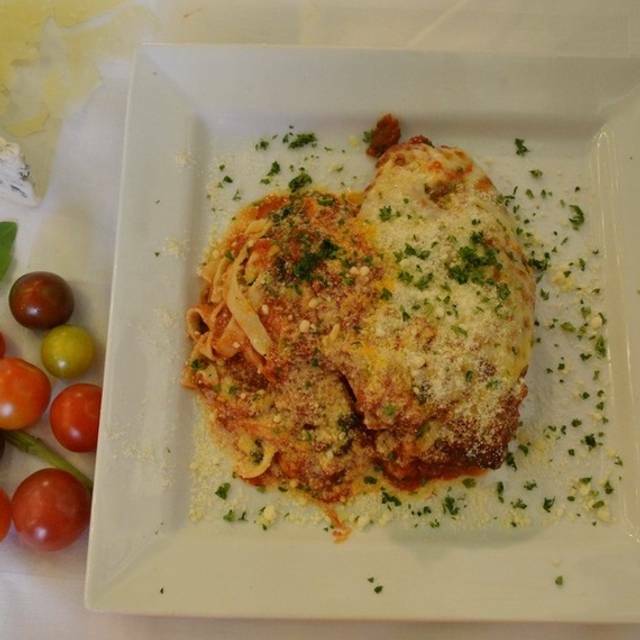 The food was authentic Italian, unpretentious and delicious. The servings were more than ample in size for the price. The service was very genuine and attentive. Our waiter couldn't have done more to make us feel at home and going the extra mile with little extras. All in all we had a wonderful time and I will definitely return.